It’s true…Joselyn and Dr. Tapia are working out! I’m sure you know by now that Dr. Young is super athletic. Rock climbing…yes. Rode biking…yes. Scuba diving…yes. Running…yes. Pick-up soccer games on the weekends…yes. Golfing…yes. Mountain biking…yes. Name a sport and he is not only likely active in it, but great at it. Joselyn and Dr. Tapia on the other hand…that’s another story. It’s true, we are more the couch potato types. That’s changing! Dr. Young inspired us to get moving again. After all, it’s excellent for our health and we can totally do it. The first event that Dr. Young picked out for us was the 5K event that was part of the San Diego Half Marathon yesterday, March 12th at 7:00a.m. 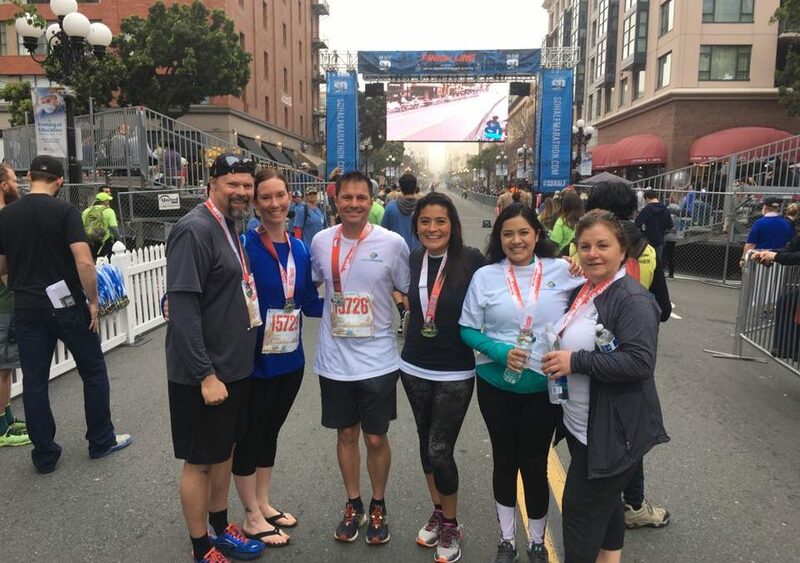 The course started in Hillcrest and ended in the Gaslamp Quarter with a big party. We invited our patients to join us and it so much fun. There was an amazing festive energy with thousands of people exercising outdoors. We are so grateful that some of you joined us. Check it out…Dr. Young got 2nd place for his age group! Seriously, we are just like you and need lots of motivation! Let’s get fit together! Let’s make 2017 the year we get back in shape! Btw, do whatever exercise rocks your boat. For us, it was this 5K yesterday.